Will Calpers’ Hedge Fund Flight Spook Other Public Pensions? Most investors appear unlikely to follow suit in the near term, according to hedge fund experts. 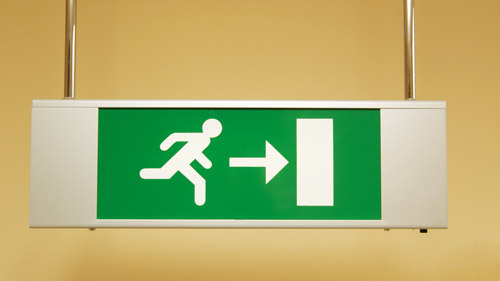 Calpers' move probably won't send other big public pensions heading for the exits. The California Public Employees’ Retirement System’s withdrawal from hedge funds will prompt some public pensions that invest in hedge funds to follow suit and give others pause, but seems unlikely to seriously dampen retirement systems’ appetite for these alternative products. CalPERS announced Sept. 15 that it would phase out its Absolute Return Strategies hedge fund program as part of an ongoing effort to reduce complexity and costs in its investment program. The big pension fund’s move was not totally unexpected. In May, Calpers announced that it would halve its hedge allocation by September as part of a re-evaluation process. The hedge fund program had been under review since early in the year following the death of Chief Investment Officer John Dear and his replacement by Ted Eliopoulos. ARS was a grand “experiment” that ultimately proved unsustainable, according to Jack Rivkin, chief investment officer of Altegris, which offers a range of alternative strategies to retail investors in a mutual fund structure. Calpers invested vast resources to conduct in-house due diligence on individual hedge fund managers to make direct investments across a wide spectrum of strategies. “The combination of performance relative to cost finally proved too expensive,” Rivkin told ThinkAdvisor. The pension might have been better off outsourcing its hedge fund allocation to a funds of funds, which are in the business of vetting hedge funds and can do so in a scalable manner, he said. Rivkin said CalPERS’ decision would give other public pension funds a lot to think about, and that a segment of them would end their hedge fund programs. However, a rush to the exits seems unlikely in the wake of the pension fund’s announcement, according to Preqin, an alternatives data provider. “For now at least, this does not seem to be the case, and in fact, there are more U.S. public pension funds than ever before allocating capital to hedge funds, and these investors are investing the most they ever have in the asset class,” Amy Bensted, head of hedge fund products at Preqin, said in an email message. “Public pension funds have increasingly recognized the value of hedge funds as part of a diversified portfolio,” Bensted said. Preqin’s research shows that the number of U.S. public pensions invested in hedge funds increased from 234 in 2010 to 269 this year, with the average allocation as a percentage of assets under management rising from 7.2% to 8.6% over that period. Preqin also found that 34% of hedge fund managers had reported an increase in capital coming from public pension funds in the first half of 2014. Now, 44% of hedge funds are funded by public pensions, and 22% of institutional capital allocated to hedge funds comes from public pension funds. Bensted pointed out that notwithstanding recent criticism of hedge funds’ apparent underperformance compared with the equity markets, Preqin’s research showed that investors were not using hedge funds to produce outsized returns, but instead to generate uncorrelated, risk-adjusted returns. That action doesn’t appear to be imminent, as Byrne said New Jersey still saw value in the hedge fund’s ability to offset bear markets. The Rhode Island state treasurer’s office echoed Byrne’s remarks, even as it has come under withering pressure from critics because of investments fees. Chief of staff Andrew Roos told the Providence Journal that as a part of the strategy to reduce volatility while maintaining strong long-term returns of the state’s $8 billion pension portfolio following the 2008–2009 financial crisis, “the State Investment Council improved the pension fund’s diversification, which included making allocations to hedge funds…. This strategy is working,’’ Roos said.